Always popular due to its wide number of uses, Blu Tack is an extremely handy supply to have in your toolbox. Browse our full range and stock up today to make sure you always have some to hand when required most. With its flexible, putty-like design and inexpensive cost, it really is a useful part of the work person's toolkit. We offer Blu Tack in a variety of pack sizes so you can get the correct amount for your next project. View our full range online today and get the best deals on Blu Tack out there! 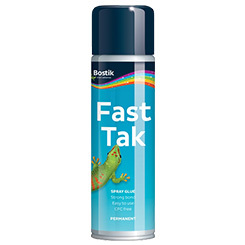 Have a question about our Bostik range? We‘ll be happy to help. Send us a message here.